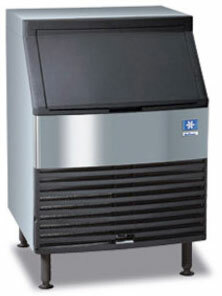 Need commercial or residential ice maker repair in the North County San Diego Area? We repair, service and maintain all major ice maker brands. Our factory-authorized and trained technicians provide one of the best ice machine repair services in the area. We are experts in SubZero, Viking, U-Line, Marvel, Follett, Hoshizaki, Manitowoc, Scotsman, and Ice-O-Matic. We will repair, service and maintain all ice makers in San Diego and its surrounding areas. Call today for face ice machine services today! Repair trucks are stocked with factory-replacment parts and we repair most ice machines on first visit. 24-hour services for ice making emergencies. Face ice maker compressor replacement on all models. No job is too small or too large for SOP Repair Services. From under-counter ice maker to customized, huge ice machines. SOP Repair Services offers the best services at the lowest rates. With an SOP Repair Service maintenance contract on your icemaker unit, you can expect it to run more efficiently, maintain clean ice and have less repairs. All icemakers require a factory mandated service to be done annually with residential units and quarterly to bi-annually with commercial units, depending on the workload of the icemaker. The biggest cause of failure is the lack of cleaning and servicing. If you are interested with maintenance on your unit, give us a call can discuss your concerns and answer any questions you may have. Your SubZero and Miele refrigeration systems are in a class by themselves when it comes to residential appliances. With the investment you made in owning systems like these, it only makes sense to have them cleaned and maintained annually. SOP repair services can help. Not only do we perform repairs on these units, we can enroll you in our maintenance plan to alert you when your unit is due for a checkup and cleaning. If you are enrolled in our Air Conditioning/Heating Maintenance Contract, the cleaning on your refrigerator is free of charge. Next time you speak to our office ask about listing your unit/units in our maintenance plan. Here at SOP Repair Services "we keep your appliances running."